During the summer months, the drive to Cadaques can take a long time due to the number of people wanting to visit the town and beach. For this reason, we substitute the visit to Dalí's house with a visit to the castle at Pubol he gave to his wife. 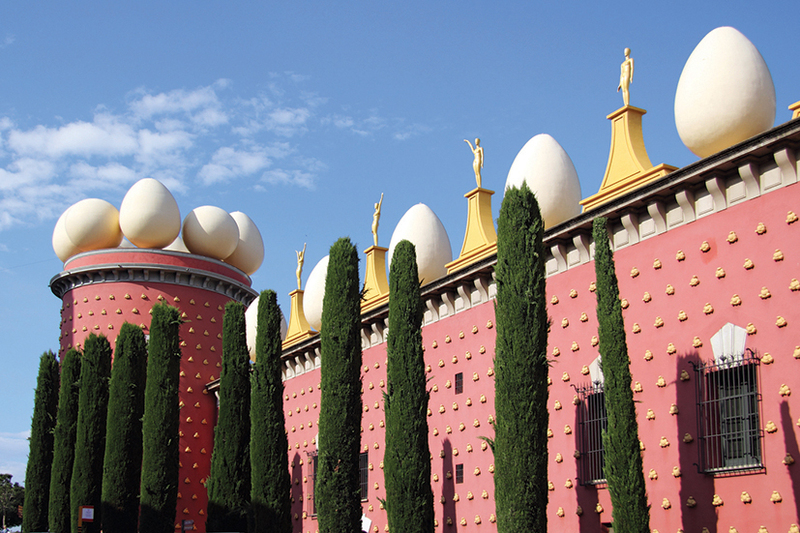 We depart from our city centre office opposite the Palau de la Musica monument at 8:30am, and set out for Figueres, the birthplace of Dalí and home to the world famous Dalí Museum-Theatre. Here you will be able to explore where he was born on Monturiol Street and visit the museum. Please note: Dali House will be closed on the 1st of January, and from the 6th of January until the 11th of February. It is still possible to see the house from the outside.